This is a gorgeous bracelet, made with unusual onyx beads and amazonite beads. 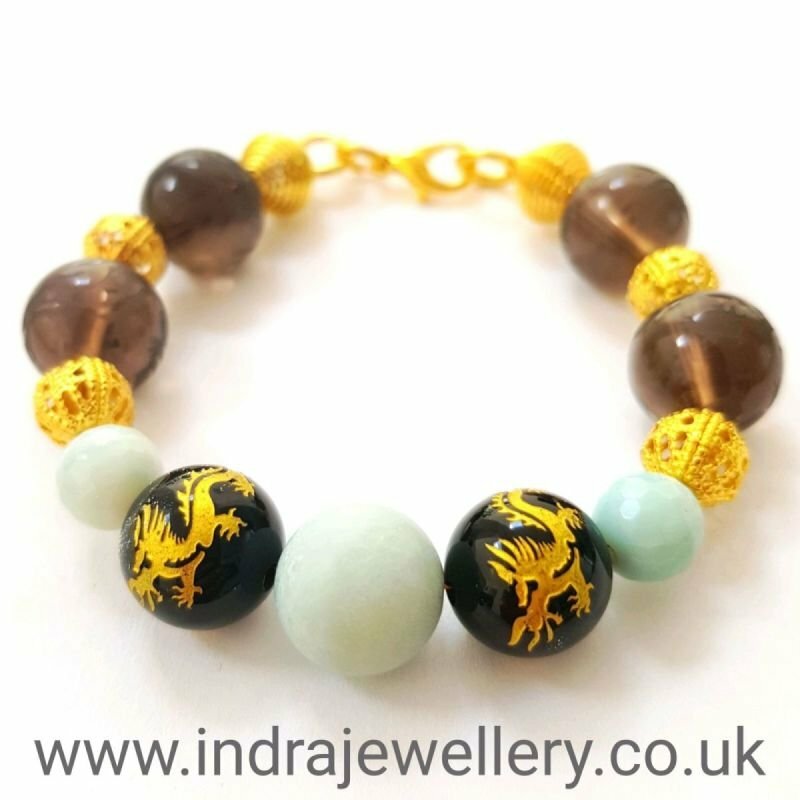 There are a mix of onyx beads, they all have dragons etched onto them and the two focal black beads have the dragons etched into them in gold! these look great against the baby blue colour of the amazonite, I have used some little gold spacer beads to finish. This bracelet makes a perfect little gift which is affordable, pretty and unusual. The bracelet measures approximately 7"
Amazonite brings calming energies in time of stress, it also is said to bring luck!